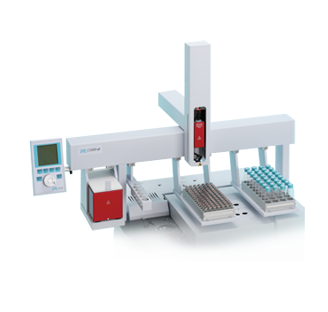 CTC Analytics' Combi PAL is the only GC sample injection system that combines liquid, large volume, headspace and SPME injection in one single instrument. Its application areas include environmental, food/ beverage/ consumer products, forensics, chemicals/polymers and pharmaceuticals. 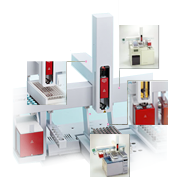 Liquid injection, static headspace, SPME, SPDE and thermal desorption in one! CTC Analytics' GC PAL is an autoinjector that can handle up to six different syringe sizes, which cover an injection volume range of 0.1µl to 500µl. 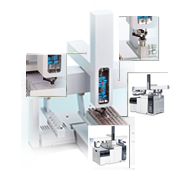 Besides liquid injections, the GC PAL can sample up to 500µl of headspace in a 2mL/10mL or 20mL vial. Its application areas include environmental analysis, forensics, food / beverages / consumer products, combinatorial chemistry, petrochemicals, polymers, pharmaceuticals and online monitoring and process control. In-tube extraction and direct thermal desorption using proven industry standard adsorbents (Tenax TA, Carbotrap, Carbosieve etc. 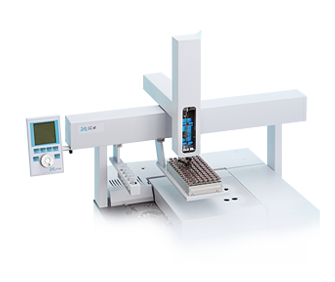 ); syringe-only concept for transparent sample handling, no sample loops, transfer lines, or switching valves; top-mounted on GC's, saves valuable bench space; no GC injector modifications, no cryo-focussing necessary; interfaces with any CombiPAL System, controlled by all major GC/GC-MS.